CB McHaul managed to get one play set into production shortly before the line was dicontinued. 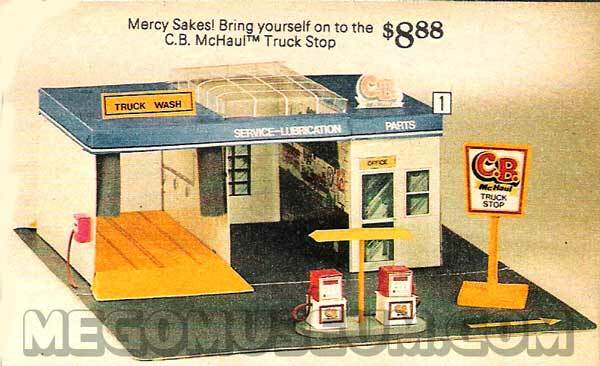 The Truck stop featured gas pumps, a garage and a car wash. 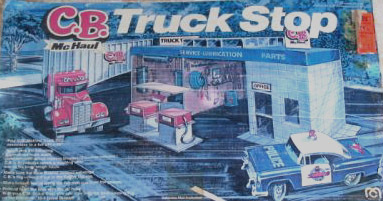 The Truckstop was marketed through Sears and Childworld locations, it is not easily found. Only a few boxed examples have turned up over the years. Yet another Mego Prototype: The only known shot of the unproduced CB Mchaul Wrecker Vehicle.